The GATED community of Santa Fe @ Stagecoach offers this well-maintained 2 bed, 2.5 bath townhome! The adorable front porch greets you into the FRESHLY PAINTED home. The living room is spacious & separate from the kitchen & dining areas. The kitchen features plenty of cabinets, a CLOSET PANTRY, breakfast bar & overlooks the dining area. A convenient half bath & the UNDER-THE-STAIRS CLOSET complete the 1st level of this property. The upper level features TWO MASTER SUITES! The main master suite has a WALK-IN CLOSET & LINEN CLOSET in the bathroom. The 2nd bedroom is located across the hall, offering privacy, & has a spacious en-suite bathroom. A 2nd LINEN CLOSET & the WASHER/ DRYER are also located on the 2nd level. Enjoy the private views from the back patio, which also has a STORAGE CLOSET. This property has TWO RESERVED PARKING SPACES right in front, & sufficient visitors parking nearby. The community offers plenty of amenities to include a community POOL, PLAYGROUND, BASKETBALL COURT, SAND VOLLEYBALL & a shaded park area w/ picnic tables! BRAND NEW ROOF (covered by the HOA)!! NEWER AC!! 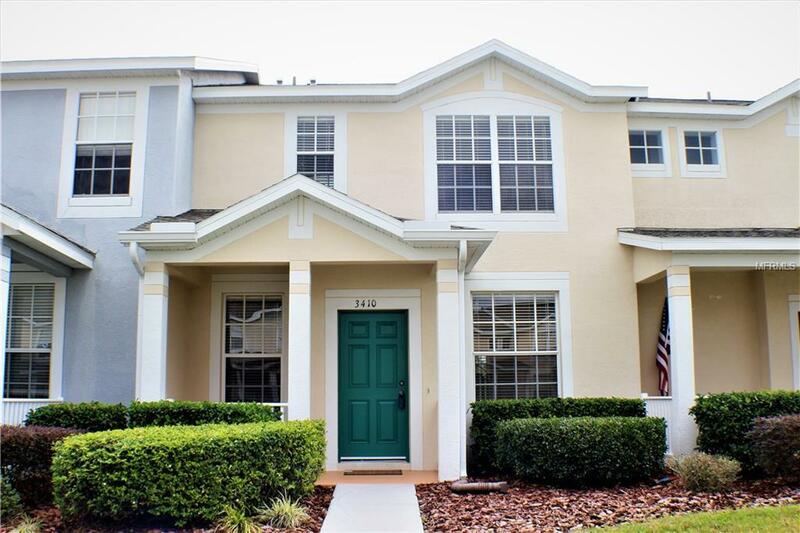 This property is close to the interstate, a growing selection of retail stores & restaurants, the Wesley Chapel Outlet Mall, the Shoppes @ Wiregrass & so much more! This property is a MUST SEE! !